The senior special assistant to the president on foreign affairs and diaspora, Abike Dabiri Erewa has described the January 1st, 2017 killing of a Nigerian in south Africa as worrying and condemnable. A statement by the media aide to the senior special assistant, Abdur-Rahman Balagun indicates that the gruesome killing of Tochukwu Nnadi by police in South Africa is unacceptable to the people and government of Nigeria. 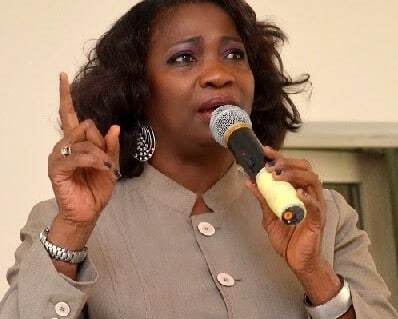 While re-iterating President Muhammadu Buhari’s call to Nigerians to avoid crimes like drug peddling which attracts stiff penalties, Abike Dabiri Erewa however noted that the killing of Nnadi has brought to twenty Nigerians killed in South Africa through extra judicial means in 2016. “The barbaric behaviour of the perpetrators is not only unacceptable, but also calls for urgent attention by diplomatic authorities in Nigeria and South Africa,” she said. She called on the South African government to ensure that justice prevails by carrying out investigation and bring the culprit to book.